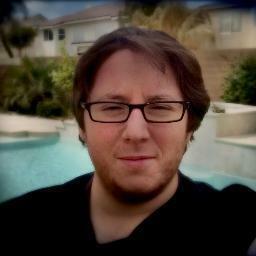 Meet Lance Seidman, a self-taught programmer and electronics engineer living in Las Vegas. “I originally got into hi-end technology with re-programming the Microsoft Speech SDK for my brother who is Autistic,” said Lance Seidman. He explains that at the time he was learning about re-programming the Microsoft Speech SDK, his brother wasn’t as high functioning as he is now. He felt computers would expand his brother’s mind, but something stood in the way. Using a mouse and keyboard was impossible. Years later, Lance Seidman explains that we don’t train our voice anymore. But in the early days of developing his technology, he says large companies had interest in the projected he started at age 14. “Ever since, I have been on a mini mission to help wherever it was needed,” he explains. In fact, he says his brother has come a long way since then, and now works at Opportunity Village. Opportunity Village is a not-for-profit organization that serves people in the Southern Nevada community with intellectual disabilities, to enhance their lives and the lives of the families who love them. Today, Lance Seidman is working on a new project. His project, called VSTheWeb, is designed to help those who need to reach the outside world when unfair practices prevent fair speech. He is trying to solve a big problem — the ability to share about possible protests without being targeted and even in some cases, killed or brutally treated. Lance Seidman also sees a need for a wall for those to speak out publicly in hopes the message is addressed. He envisions activists, citizens, and everyday people being able to connect with influencers like journalists on this wall. Lance Seidman is clearly one of #VegasTech’s high tech all-stars and is very knowledgeable. What keeps him in Las Vegas?